Change is inevitable as we grow older. My husband, Mike, and I experience surprises at every turn. Now that we are both retired, we delight in traveling and noticing things that might have been overlooked during the busy career days. For instance, I have learned that he isn’t much interested in focusing on lovely young women anymore. Instead, he falls in love quite easily with many other beautiful images. One image that he is particularly fond of is purple Wisteria. It grows wild in Alabama (as well as many other areas of the world) and we often see it along Interstate 65 as we drive south from our home. There are several varieties of Wisteria and multiple colors – purple, violet, pink, and white. Common wisteria is a vine that winds itself like a corkscrew around any available support. Often it climbs high into trees. It is considered an invasive plant because it can easily overtake and choke out other plants. It is particularly prevalent in the Southeastern part of the United States and is often cultivated to grow as shade over outdoor gazebos and arbor areas. It typically begins to bloom in the spring and its fragrant blossoms can sometimes be seen even into late summer. 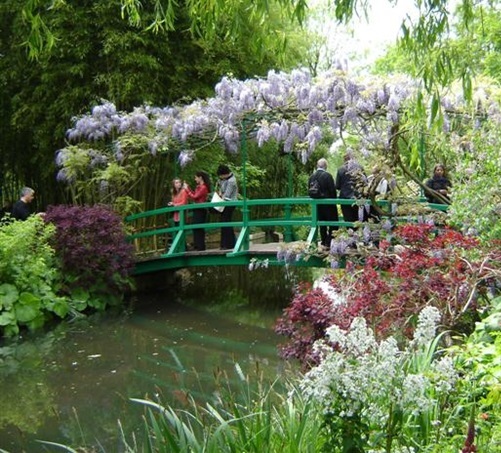 The photo below was one that I took for Mike in Monet’s Garden, Giverny, France. The blooms look almost white in this photo but they are actually a vivid and vibrant purple “in person”. You might understand Mike’s love affair with Wisteria from the cover photo. Wisteria is quite an eye catcher. These lovely blooms have often inspired us to look forward to driving south during the blooming season. I’m usually the look out and will point and say “Wisteria!” when I spot some. A few years ago on a cold and gray December day Mike was feeling rather “uninspired” as he was driving us along our favorite route south. As the conversation lapsed, we each wandered off into our individual inner world day dreams. 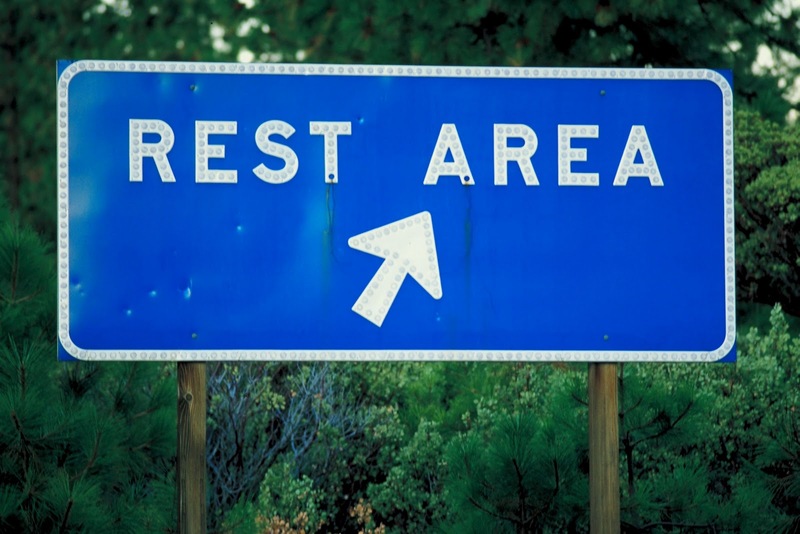 Suddenly I spotted a blue Rest Area sign and decided a break would be nice so I pointed to our right and simply said “Rest Area”. And, you probably have already guessed – we missed the Rest Area exit. (Just FYI – the next Rest Area was 80 agonizing miles away). Ah, the changes in life. 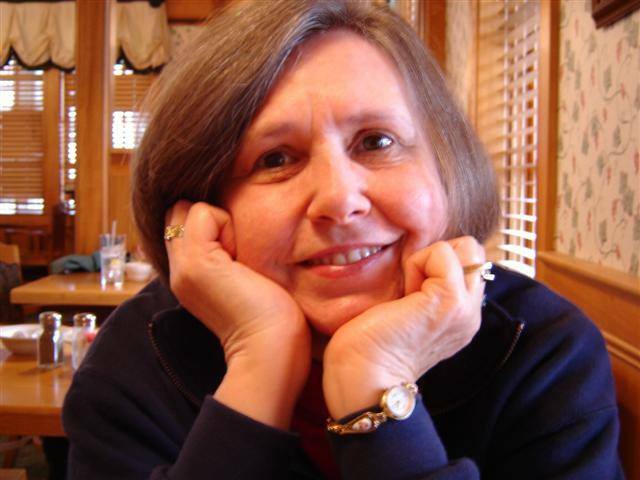 Changes can range from frustrating to delightful or humorous, but you can bet that with aging, come many surprises via changes when we least expect them. Hearing aid anyone?